InSpec Labeling continuously innovates to meet its customers where they are in terms of their labeling and packaging requirements. Our suite of customer options expands regularly as we learn to create, customize, and change the way we do business in order to provide solutions to our customers. Ask for a consultation in order to learn exactly how InSpec can help you to label and package your products as required. 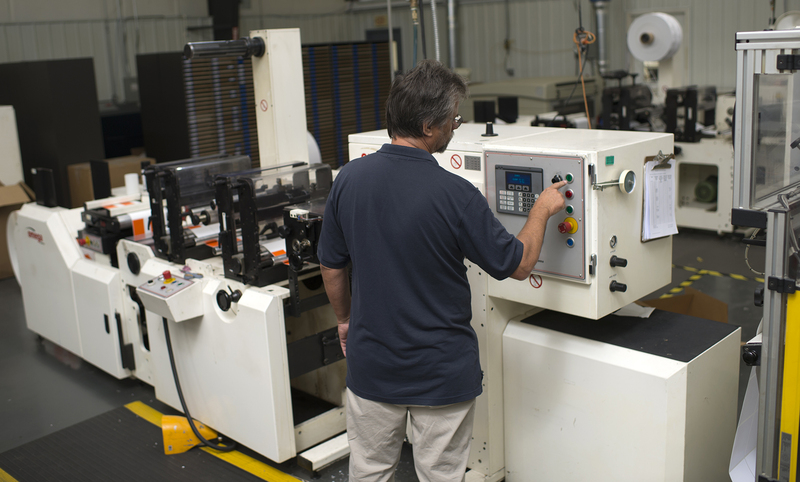 Our HP 6800 runs everything from shrink sleeve labels to 14 point card stock. We can print up to 11 colors digitally, with a premium look when our customers need more polished presentation. Using rotary dies and plates, InSpec builds a flexographic plate which can be customized with the information needed for a particular set of labels. InSpec can produce labels up to 16” wide, with up to 8 colors, using a 4 color process. 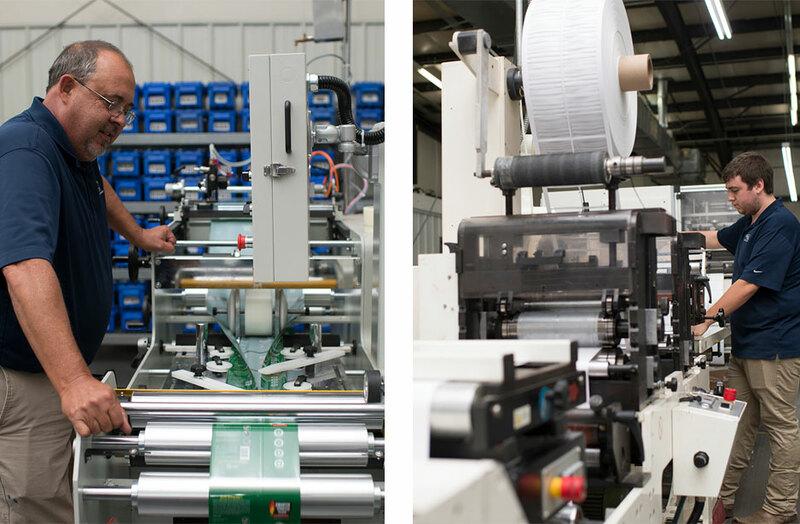 Our flexographic capability is applicable to sheeting, fanfold, unsupported film, shrink sleeve, pressure sensitive, synthetics, and laminating. 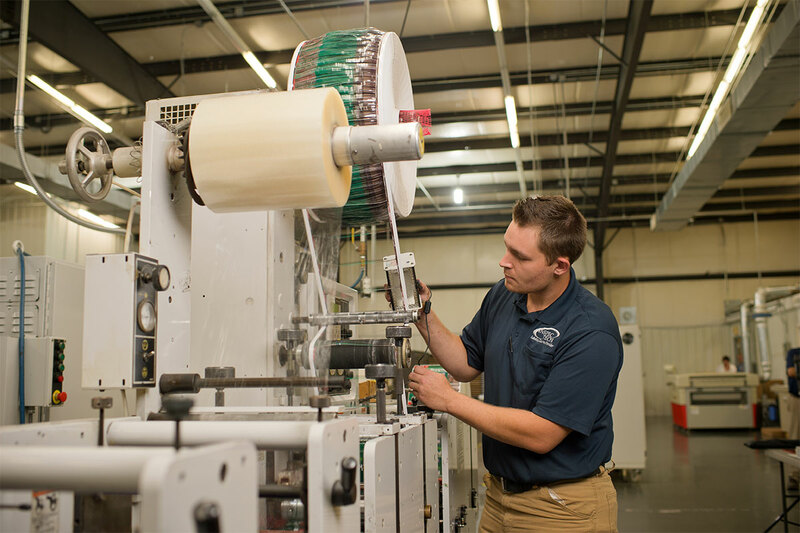 Pressure sensitive labels are applied with pressure, whether by merging labels, air-blowing, or using a tamp applicator. InSpec’s weatherproof labels are made with vinyls and polyesters. Most are pressure sensitive labels that are expected to remain on packaging, despite weather conditions, for 3-5 years. Direct thermal labels can be pressure sensitive or tags with no adhesive. These types of labels are not made for longevity. Rather, they are perfect for short delivery time applications and are cost effective. Our embossing tools can be used on specialty labels which require the relief look and feel of an embossed design. For labels that need to stand out, a foil stamp adds visual appeal. Gold or silver foil makes labels and packaging pop. These labels are die cut and stacked using an older technology that many companies still find useful in labeling their products. InSpec can print on the adhesive side of a label, allowing consumers to look through clear packaging in order to read the printing on the interior of the labeled portion.